Litter born 9th November 2014. Sire: Purr Prints Ontario. Dam: Skiboots Heavenly. Five beautiful kittens - name theme is Winter Olympic Venues. 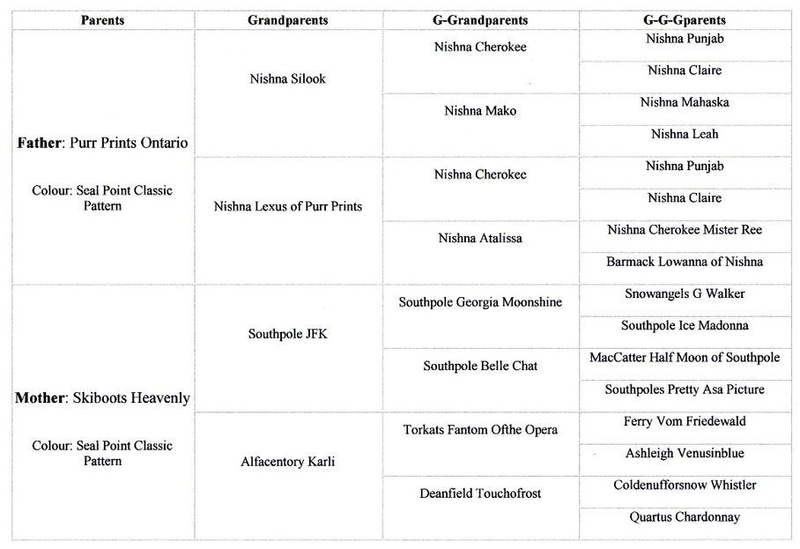 Pedigree of November 14 litter.